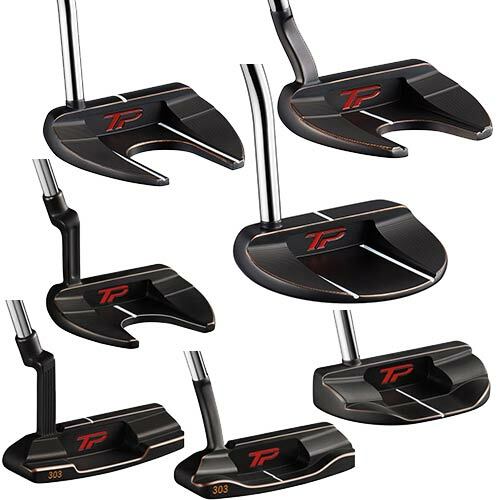 The TP Black Copper Ardmore 1 provides golfers with added stability, a single top/double cavity sightline, and a single-bend shaft in a sleek modern-mallet shaping. 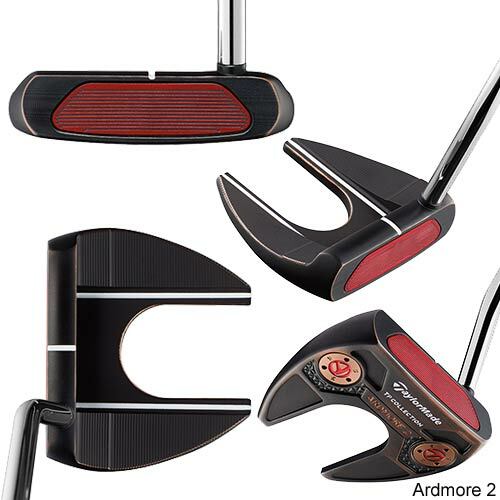 With clean aesthetics, adjustable sole weights, TaylorMade’s Pure Roll insert, and a face-balanced design, Ardmore 1 will fit golfers who seek a straight back, straight through putter stroke. 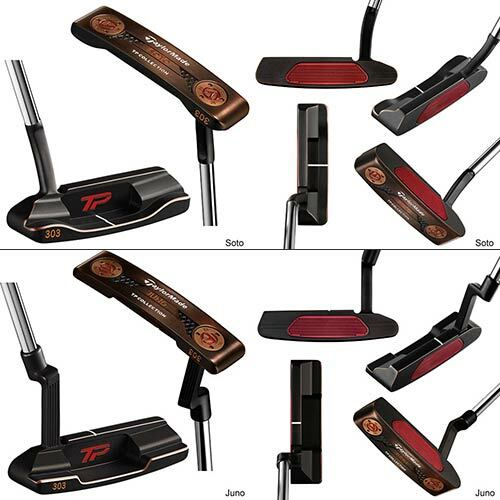 The TP Black Copper Ardmore 2 provides golfers with added stability, a single top/double cavity sightline, and a single-bend shaft in a sleek modern-mallet shaping. 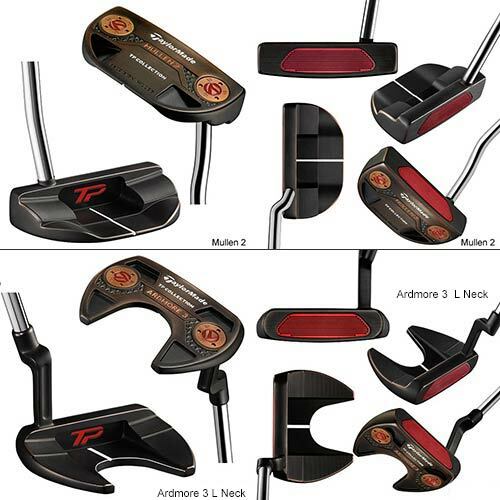 With clean aesthetics, adjustable sole weights, TaylorMade’s Pure Roll insert, and a face-balanced design, Ardmore 2 will fit golfers who seek a straight back, straight through putter stroke. 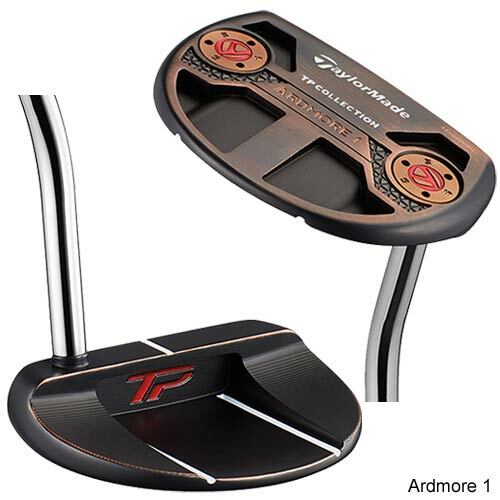 The TP Black Copper Ardmore 3 provides golfers with added stability, a single sightline on the cavity, and a small curve hosel (with 42° of toe hang) in a sleek modern-mallet shaping. 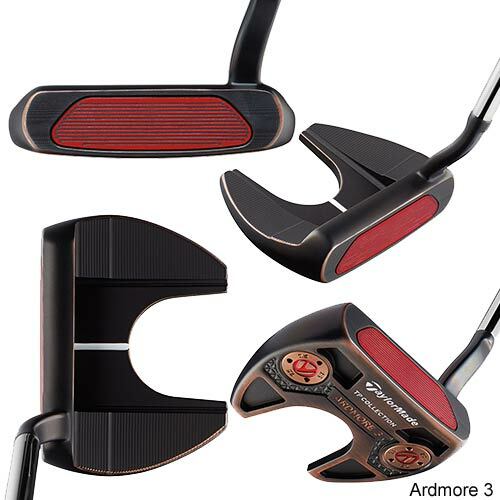 With clean aesthetics, adjustable sole weights, TaylorMade’s Pure Roll insert, and significant toe hang, Ardmore 3 will fit the player with an arcing putter stroke. 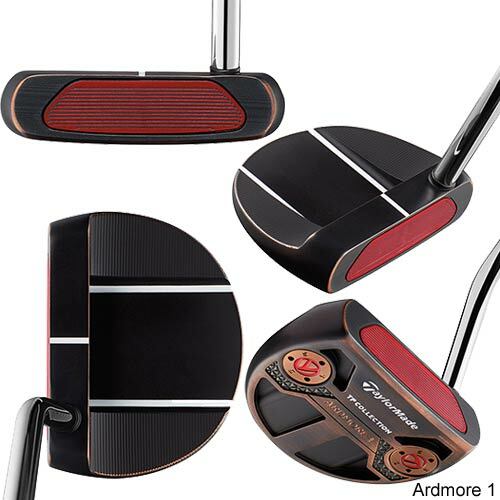 The TP Black Copper Ardmore 3 incorporates TaylorMade’s rich new colorway into a modern-shaped mallet design. 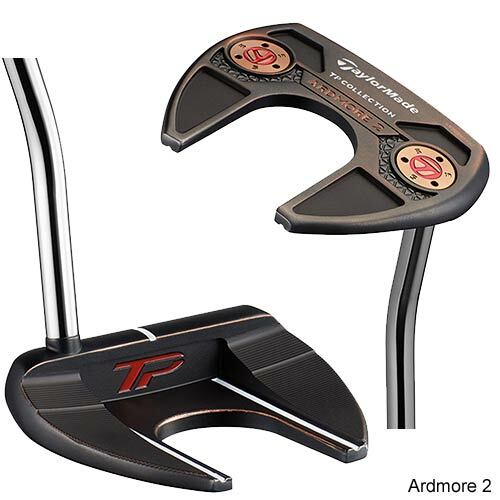 The TP Black Copper Ardmore 3 provides golfers with added stability, a single sightline on the cavity, and an L-Neck hosel with 12° of toe hang. 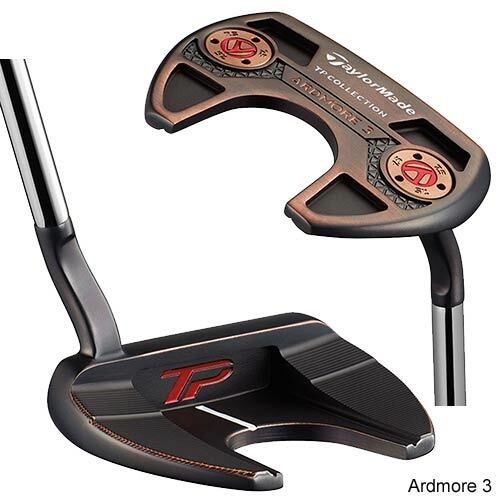 With clean aesthetics, adjustable sole weights, and TaylorMade’s Pure Roll insert, the TP Black Copper Ardmore 3 will inspire confidence on the green for all players. 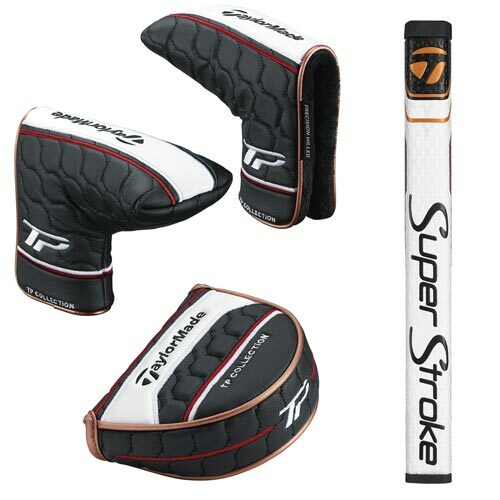 - Played by Rory McIlroy, Jason Day and Dustin Johnson, the Pure Roll® insert combines 45° grooves with a softer polymer to increase topspin and improve forward roll across varying surfaces – helping your ball start and stay on its intended line.